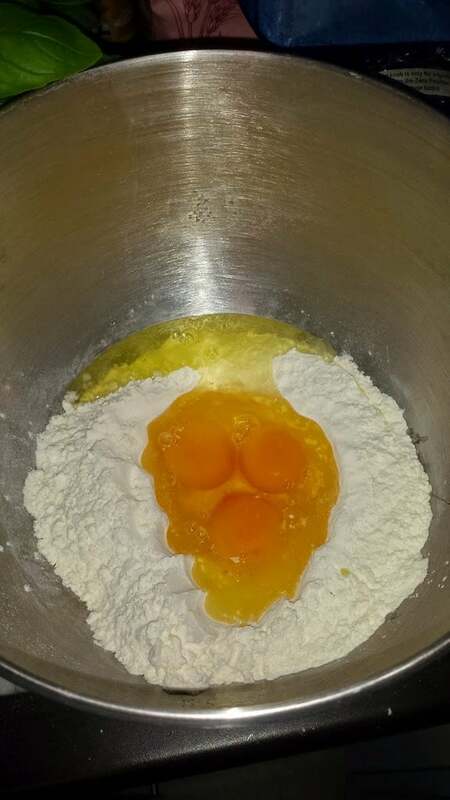 Mix flour and eggs together to form dough. YES REALLY! It is THAT simple. If you cover it you can keep it in the fridge for up to ten days too… I made it the day before I was planning to serve it for dinner because I thought it would take a lot longer! 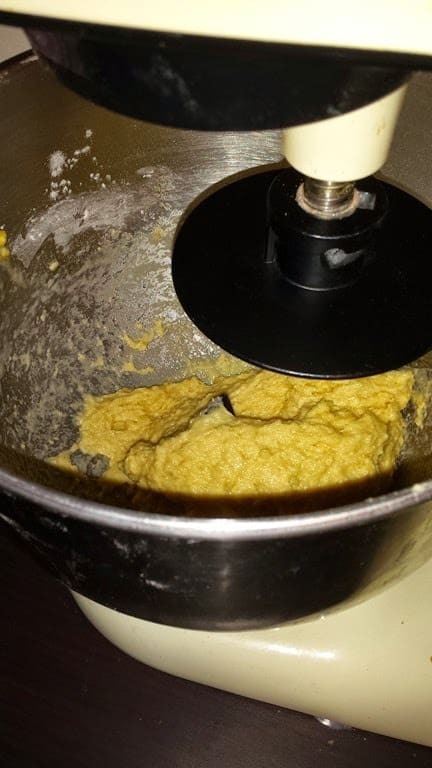 3 eggs and 300g of ‘00’ grade flour. 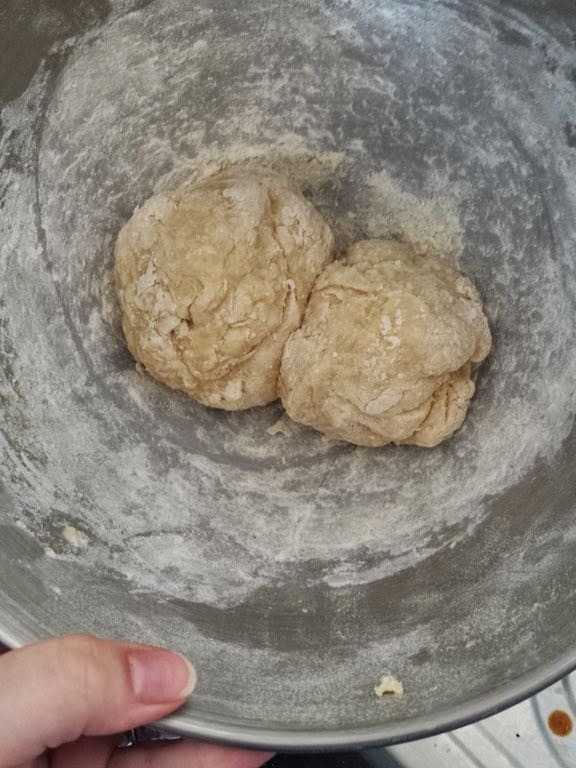 Pop them in your mixing bowl and pulse until a dough forms. It should have a slightly sticky texture but be smooth to the touch. I rolled it out onto a glass board, but I clearly have the weak a puny arms of a small meerkat and had a complete inability to roll it any finer than I did. 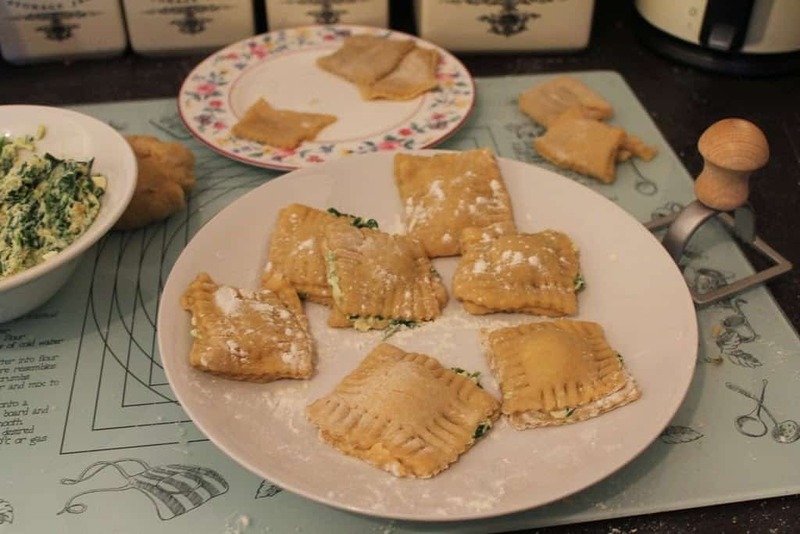 It then rose a bit whilst I made the filling, so they were giant ravioli by the time I had introduced them to the pan of boiling water, they did however remain ‘stuck’ together in the pan which I didn’t think would happen! 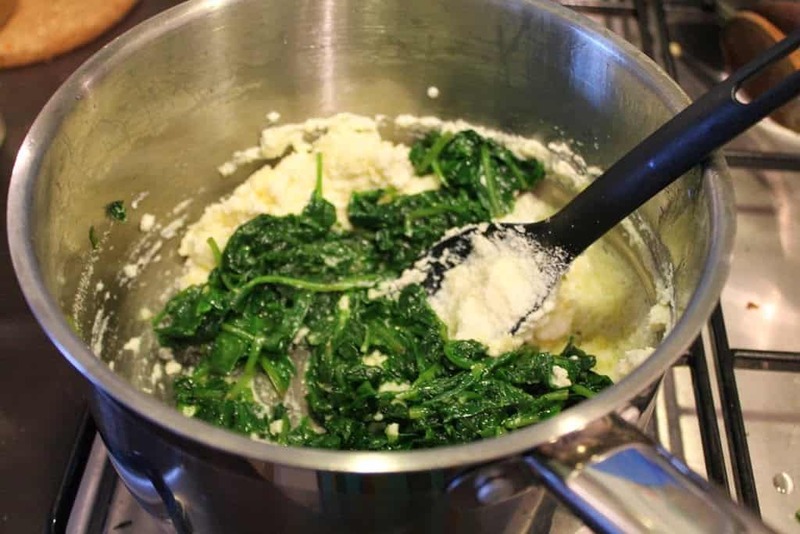 First heat the oil and wilt the spinach, season and then cool before chopping (I snipped with scissors because I am lazy) then mix together the snipped spinach, Grana Padano and dried herbs and season if you think it needs it. Finally add the breadcrumbs and combine till well mixed. 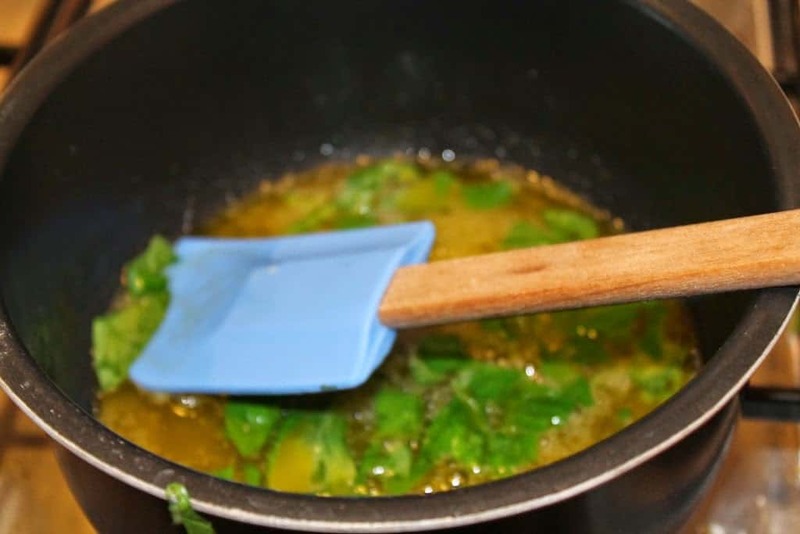 Melt the butter, add the peas and chopped basil and heat on low for a couple of minutes. Stir in the wine and turn up until it has evaporated. 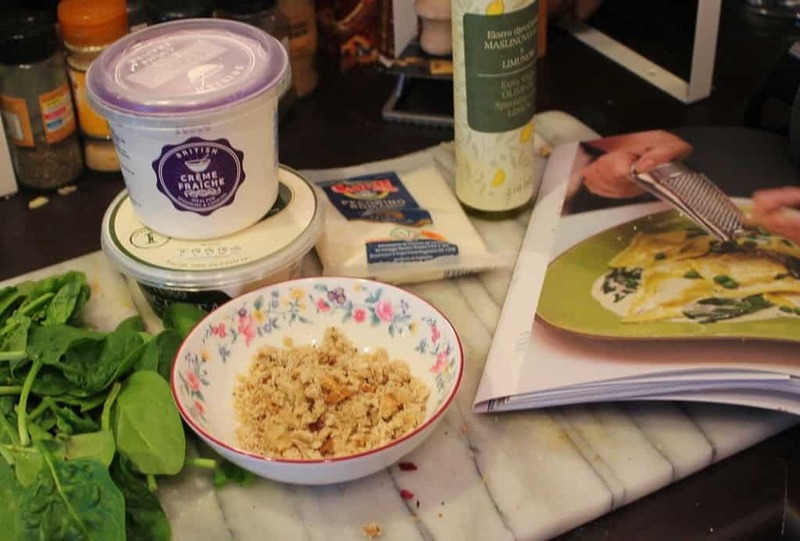 Add in the Crème fraiche and 100ml of the boiling water from your pasta and mix well, season to taste. Then lower the heat and pop your spinach in and stir until wilted. Remove your ravioli from the boiling water after 4-5 minutes (supposedly, mine took more like 7-8 as it was so thick) and then pour the sauce over. It was edible, just. 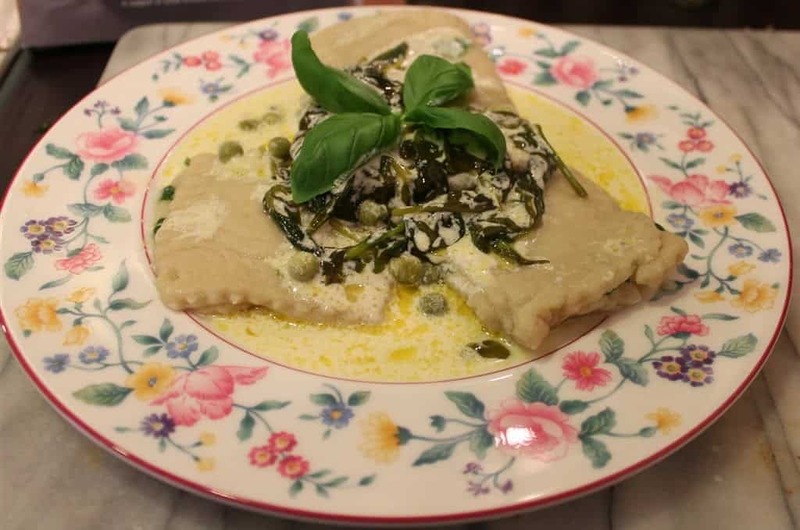 I loved the ricotta filling though and so I might be attempting this again, or using the filling in something else (or even just to eat with normal pasta!) 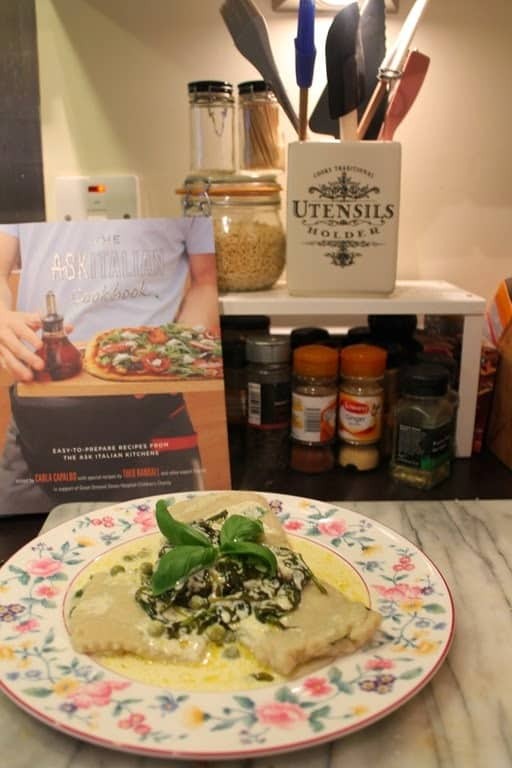 and the sauce was so easy to make too! 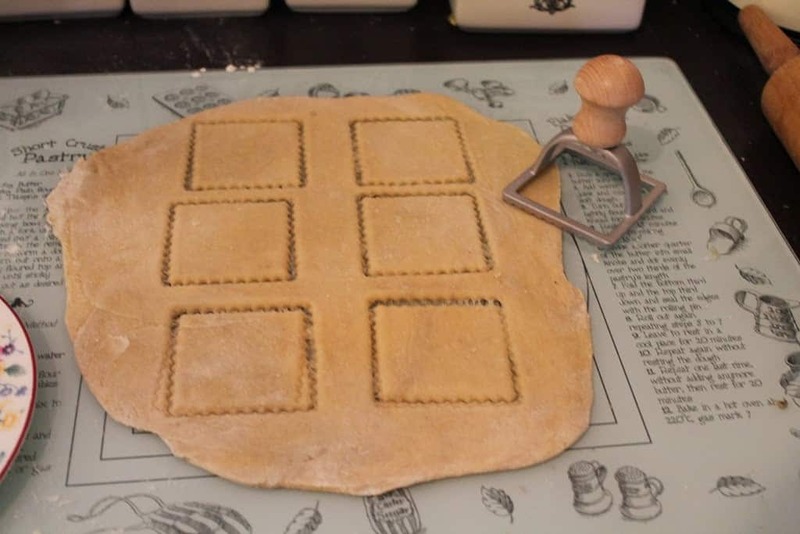 Ever tried to make ravioli from scratch? 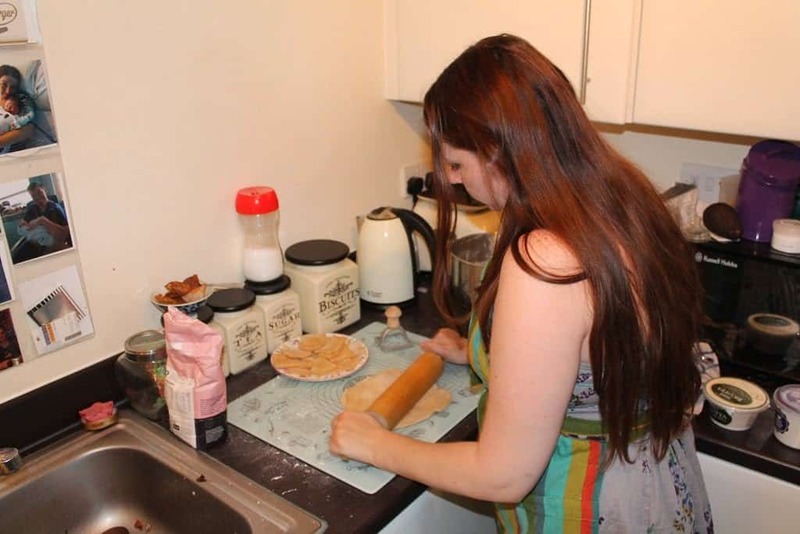 Or any pasta for that matter… please tell me you found it as tricky as I did? 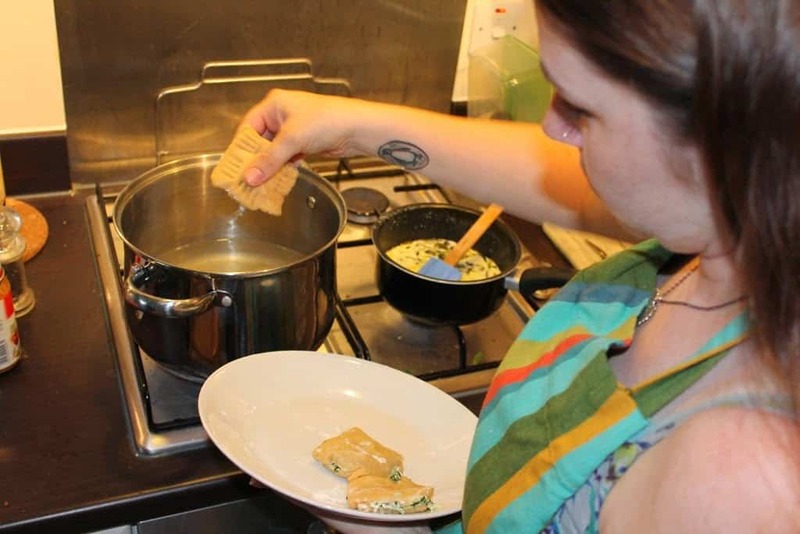 No, I didn’t think so, I’m much better at eating ravioli than making it… the next challenge is the last one, sadly! Until next time… #RespectThePasta! Ah I really want to make pasta. I have an old roller from my mum (of course) and always say we’re going to but fail to bother so kudos to you! I may be trying this out soon. Maybe. If I stope being so darn lazy! I really want to make some pasta, ravioli is one of my fave types. Loved reading this!